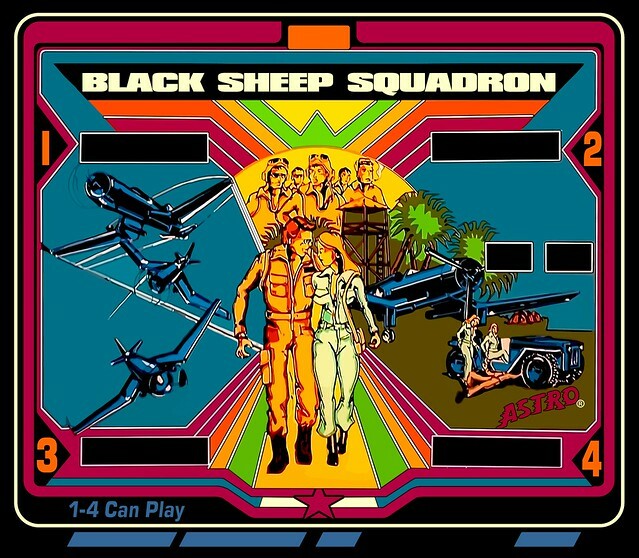 This is my Black Sheep Squadron I have been working on, I was able to get the game running fully on the rom after a lot of trial and error, there are issues with this rom and the Bally.vbs. The first time you start the table hit F6 set the dip switches, ON put a check, OFF leave blank, close and restart pinmame F3 and they will be set, there are a couple switches that are your choice but the others have to be set correctly for the table to work. I recommend the 3 ball with alternating bumper lights. Thanks go to Randr for the bumper ring scripting, and all the great talents that keep pushing the limits of VP enjoy. This topic contains 43 replies, has 9 voices, and was last updated by BorgDog 1 year, 9 months ago. Nice table choice to build! Thanks for sharing it looks really good! What’s everyone using for b2s I have a old non high res version is their a better one out there? Thanks for this great table, I will check! HauntFreaks, would you help at this (PSD File) ? I will look at the file…. and see whats up… lol… takes me hours too…. should be done in a day or so…. Updon, cant see the kicker1 in latest Version ?